This document is comprised of two parts. “General Terms & Conditions” and “Installer Terms & Conditions”. By using the Company Website, engaging with us, purchasing Products and Services from us you are agreeing to both the “General Terms & Conditions” and “Installer Terms & Conditions”. (“Service, service, Product, product, Products, Services”) refers to Products listed on the https://www.ppacaraudio.com.au Website or to Products sold by the Company or to Products installed into a vehicle by an Installer. (“Client”, “client”, “Customer”, “customer”) refers to an individual or entity that uses our Service. (“Installer”, “installer”) refers to an individual, individuals or entity registered, contracted or employed by us to provide Service to our Clients. Some vehicle modifications can adversely affect the electrical and/or Engine Control Modules of a vehicle. The Company highly recommends having professional installation on all products. The Company is not responsible for any adverse effects resulting from a product purchased from us but not installed by us. The Company makes every effort to accurately describe all products listed on our Website. However, The Company cannot guarantee correctness. It is advisable to check vehicle and part specifications before purchase to determine if the potential part(s) will properly fit the intended vehicle. If you have ANY questions, please do not hesitate to contact us for assistance. The Company is not responsible for misprints, and/or changes/variations made by vehicle and/or product manufacturers. Due to the special nature of ordering non-stocked merchandise, special orders may not be returned for refund or credit. Special orders are covered under the manufacturer’s warranty. Deposits for special orders that the Company is unable to cancel are not refundable. Labour, delivery or installation services may not be refunded. This includes replacement dashes/bezels, ashtrays, armrests, special painting, glass repair, etc. The buyer is responsible for all shipping costs. If a product was shipped with FREE shipping and is later returned, [the return is subject to a $15.00 shipping fee (if the initial cost of shipping is greater than the fee, then the buyer would be assessed the full charge incurred for shipping). Shipping costs are non-refundable, and the buyer is responsible for all return costs associated with returning a product for refund or exchange. All mailed returns require a Return Authorization Number (RA#). Contact us for a RA# before returning any items. Any items returned without a proper RA# may not be properly refunded or credited. The Company is not responsible for returns that do not have a proper RA#. It is the buyers’ responsibility to make sure the delivery address is correct and that products delivered to the given address are safe and secure. The risk of loss and title for all items pass to the customer upon delivery to the carrier. The Company is not responsible or liable for any damage or loss arising from shipment. All orders are shipped to the address provided in the order. The Company assumes no responsibility for lost or stolen products. The Company strongly recommends that you or a representative be available for all deliveries. The Company’ customer service team will supply a tracking number for all orders, so that appropriate arrangements can be made. Note: Since deliveries can be delayed, and shipping/packing mistakes may occur, it is highly advised that you wait until you have confirmed delivery of all products before scheduling for an installation or beginning your own installation on a vehicle. 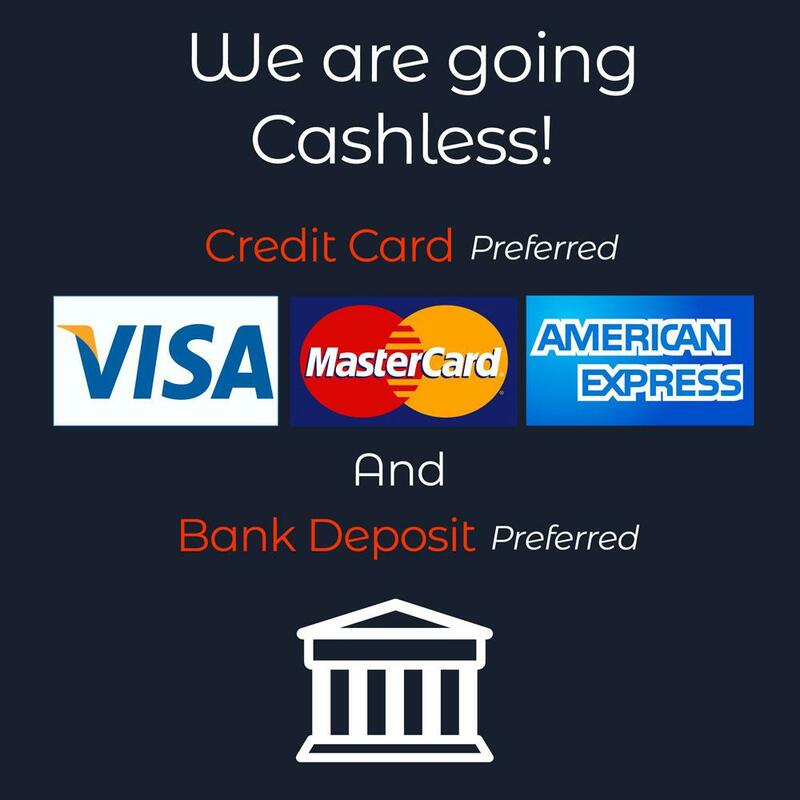 By completing an order on our Website you agree to pay the Company in full and allow us to charge your credit card and/or PayPal account for any and all charges. These charges include (but are not limited to) cancelled order and restocking fees, return shipping and authorisation fees, collections fees, all product costs and legal expenses incurred due to fraudulent activity, costs due to duplicate orders and/or component upgrades. If you feel there is an error with your payment please contact us immediately. The Company reserves the right to cancel any order at any time for any reason. If The Company cannot fulfill the order (e.g., item out of stock, suspicious or unconfirmed ship to address), The Company will cancel the order and refund any money collected accordingly. An online order confirmation does not signify that The Company has provided final acceptance of the order, nor does it confer that The Company has agreed to sell to you or ship the order to you. Orders cancelled after product is shipped will be subject to our restocking fees PLUS all original shipping and return shipping fees. Discount Codes/Coupons cannot be used on sale items or combined with special promotions and/or free shipping deals unless specifically noted. The Company reserves the right to reverse any applicable discounts, offers and promotions if they are applied to sale/promo items or free shipping deals without our permission. The Company reserves the right to change our policies without notice. All products are covered by the manufacturer’s warranty. The Company Website is an online information and ecommerce Website. Its use is subject to your compliance with the terms and conditions set forth below. Please read this document carefully before using the website. By accessing or using the website, you agree to be bound by the terms and conditions set forth below. If you do not wish to be bound by these terms and conditions, you may not access or use the website. The entire contents of the Website is owned or licensed property of the Company or its suppliers or licensors and is protected by copyright, trademark patent or other proprietary rights. The Company and its suppliers and licensors expressly reserve all intellectual property rights in all content on the Website. Products and company trademarks, service marks, and names mentioned in the Website are the trademarks of their respective owners. You may not modify, copy, reproduce, republish, upload, post, transmit, or distribute, in any manner, the material on the website, including text, graphics, code and/or software. The Company grants you a limited license to access and make personal use of the Website and its content for non-commercial purposes only. You may print and download portions of material from the different areas of the Website solely for your own non-commercial use provided that you agree not to change or delete any copyright or proprietary notices from the materials. You agree to grant to The Company a non-exclusive, royalty-free, worldwide, perpetual license, with the right to sub-license, to reproduce, distribute, transmit, create derivative works of, publicly display, and publicly perform any materials and other information (including, without limitation, ideas contained therein for new or improved products and services) you submit to any public areas of the Website (such as bulletin boards, forums and newsgroups) or by e-mail to the Company and in any media now known or hereafter developed. You also grant to the Company the right to use your name in connection with the submitted materials and other information as well as in connection with all advertising, marketing and promotional material related thereto. You agree that you shall have no recourse against The Company for any alleged or actual infringement or misappropriation of any proprietary right in your communications to the Company. You assume total responsibility and risk for your use of the website and the internet. The company provides the website and related information “as is” and does not make any express or implied warranties, representations or endorsements whatsoever (including, without limitation, warranties of title or non-infringement, or the implied warranties of merchantability or fitness for a particular purpose) with regard to the website, any merchandise information or service provided through the website or on the internet generally; and the company shall not be liable for any pricing errors, or any cost or damage arising either directly or indirectly from any such transaction. It is solely your responsibility to evaluate the accuracy, completeness and usefulness of all opinions, advice, services, merchandise and other information provided through the website or on the internet generally. The company does not warrant that the website will be uninterrupted or error-free or that defects in the website or service will be corrected. II) Any claim attributable to errors, omissions, or other inaccuracies in the website and/or materials or information downloaded through the website. Because some states do not allow the exclusion or limitation of liability for consequential or incidental damages, the above limitation may not apply to you. In such states, the company’ liability is limited to the greatest extent permitted by law.The Company makes no representations whatsoever about any other Website which you may access through the Company or which may link to the Company. When you access a non-Company Website, please understand that it is independent from the Company, and that the Company has no control over the content on that Website. In addition, a link to a Company Website does not mean that the Company endorses or accepts any responsibility for the content, or the use, of such Website. You agree to indemnify, defend and hold harmless the Company, its officers, directors, employees, agents, licensors, suppliers and any third party information providers to the Website from and against all losses, expenses, damages and costs, including reasonable solictor’s fees, resulting from any violation of these Terms and Conditions (including negligent or wrongful conduct) by you or any other person accessing the Website. The provisions of paragraphs 2 (Use of the Website) and 3 (Indemnification) are for the benefit of the Company and its officers, directors, employees, agents, licensors, suppliers, and any third party information providers to the Website. Each of these individuals or entities shall have the right to assert and enforce those provisions directly against you on its own behalf. These Terms and Conditions may be terminated or modified by The Company without notice at any time for any reason. Any modification shall be effective upon posting of the modified Terms and Conditions on the Website. You agree to review the Terms and Conditions periodically to be aware of such modifications and your continued access or use of the Website shall be deemed as conclusive acceptance of the modified Terms and Conditions. You agree that The Company shall not be liable to you or any third party for any termination of your access to the Website. Upon termination, all provisions of these Terms and Conditions which are by their nature intended to survive termination, all representations and warranties, all limitations of liability, and all indemnities shall survive such termination. It is agreed by the Parties that these Terms and Conditions will be construed in accordance with the Law of Victoria and each Party covenants that it submits to the jurisdiction of the Courts of Victoria for the resolution of any dispute under the Agreement. These Terms and Conditions, including policies and information linked from or incorporated herein, constitute the entire agreement between you and the Company with respect to the Website and supersede all prior or contemporaneous communications, agreements, and proposals with respect to the Website. No provision of these Terms and Conditions shall be waived except pursuant to a writing executed by the party against whom the waiver is sought. No failure to exercise, partial exercise of, or delay in exercising any right or remedy under these Terms and Conditions shall operate as a waiver or estoppel of any right, remedy, or condition. If any provision of these Terms and Conditions is held invalid, illegal or unenforceable, the validity, legality and enforceability of the remaining provisions will not be affected or impaired. You may not assign, transfer, or sublicense any of your rights or obligations under these Terms and Conditions without our express prior written consent. We will not be responsible for failure to fulfill any obligation due to causes beyond our control. These Terms and Conditions shall all be governed and construed in accordance with the laws of the State of Victoria, Australia applicable to agreements made and to be performed in Victoria. You agree that any legal action or proceeding between the Company and its affiliates and you for any purpose concerning these Terms and Conditions or the parties’ obligations hereunder shall be brought exclusively in a federal or state court of competent jurisdiction sitting in the state of Victoria. Any cause of action or claim you may have with respect to the Website must be commenced within one (1) year after the claim or cause of action arises or such claim or cause of action is barred. The Company’ failure to insist upon or enforce strict performance of any provision of these Terms and Conditions shall not be construed as a waiver of any provision or right. Neither the course of conduct between the parties nor trade practice shall act to modify any provision of these Terms and Conditions. The Company may assign its rights and duties under these Terms and Conditions to any party at any time without notice to you. The Company is not obligated to honour any price or product misprint on the Website or its affiliated web websites. for information relating to our collection, storage and use of the details you provide when engaging us to provide our service. The Company reserves the right to amend these Terms and Conditions from time to time at their discretion. Any changes made in such revision take immediate effect once the Customer is notified of such a change. 1) If an event occurs that is beyond the reasonable control of the Installer which prevents the Installer from performing the service on or by the date agreed, the Installer will immediately notify the Customer by email, phone call or SMS text and give an estimate of the time for completion of the service. 2) The Service provided by the Installer is based on the Service booked on the phone, email or via SMS text or as per any quotation provided to the Customer. If the Customer requires a variation to the Service as per the booking or quotation, that variation must be received in writing or email by the Installer prior to the commencement of the Service being provided to the Customer. If required the Installer will provide a quotation for performing the service as varied which additional sum will be added to the price if accepted by the Customer. If the Customer does not accept the quotation, the Installer is not obliged to carry out the variation. 1) Any act by the Customer or those legally acting on behalf of the customer which requests the Installer to begin performing any services or providing any materials will be deemed as acceptance to these Terms and Conditions. 2) Once these Terms and Conditions are accepted they are irrevocable and cannot be amended without the written consent of the Installer. 3) In the event, there is more than on party as a Customer to these Terms and Conditions, all Customers will be jointly liable for these Terms and Conditions. 4) Should the Customer cancel the engagement of the Installer after it has been accepted, the Customer agrees they may be held liable for any costs incurred by the Installer in relation to the provision of the Services and/or provision of Products up to the point of cancellation. 1) A quote provided by the Company or Installer will remain valid for fourteen days’. On expiry of that period, if the Customer wishes to proceed a new quote will need to be provided prior to the Installer undertaking the service. 2) The Customer will pay the Installer’s fee on the same day of completion of the services, unless otherwise agreed in writing or email. The price includes GST and is the full amount which the Customer will pay for the service. 3) Payment for the Services should be made in the following manner: Company Bank Account, Credit Card, Deposit or Cash payment to the Company or Installer. 4) Where the Customer fails to pay any Service on or before the due date, the Customer agrees that the Installer will add an immediate overdue penalty fee of 25% or $10.00, whichever is greater and interest to the total outstanding amount at the benchmark rate as published by Reserve Bank of Australia, per calendar month and that the Customer will be liable to pay an accrued interest in addition to the outstanding amount. ii) Change the customer to Direct Debit, where the Company shall automatically debit the service charge within 7 days of service completion. The Company shall provide the Customer 7 days’ notice via email before implementing either of the above options. 6) In the event the Customer defaults in payment of an invoice, the customer shall indemnify the Company and Installer from any costs incurred by the Installer or Company in recovering the outstanding amount, including but not limited to solicitor’s fees. 7) The Customer is not entitled to deduct any invoiced amount from any amounts owing to the Customer by the Company or Installer. 8) The Installer agrees to provide the Service on the booked date and time of the Service by the Customer. Any change to the booked date and time shall be made by the Customer in writing/email providing a minimum 24hours’ notice to the Company. Should the customer not provide sufficient notice of change to the Installer and the Installer arrives to the customer premise to provide the Service and be refused access, it is at the Company’s discretion to charge the full amount of the Service fee. 9) The Customer is responsible to ensure access to the customer’s property and vehicle for the purposes of providing the Service. Should the customer not provide access and the Installer arrives to the customer premise as per schedule to provide the Service and cannot due to access restrictions, it is at the Company’s discretion to charge the full amount of the Service fee. 1) The Customer will ensure that, if the service is to be performed on the Customer’s property and vehicle, the Customer is authorised to occupy those premise and obtain the service. 2) The Customer will ensure that if the service is to be performed on the Customer’s property, vehicle, that at all times the property and vehicle is safe and that all facilities provided by the Customer for the purposes of enabling the service to be performed are also safe. 3) The Customer will ensure that the Installer will have unencumbered and unobstructed access to the area/s of the premises requiring the service. 1) All statutory warranties that can be lawfully excluded are hereby expressly excluded. 2) To the extent permitted by law, the Installer or Company is not liable for negligence or otherwise to any person including the Customer for any loss or damage including consequential loss suffered or incurred in relation to the Installer’s service or products supplied. 1) It is agreed by the Parties that these Terms and Conditions will be construed in accordance with the Law of Victoria and each Party covenants that it submits to the jurisdiction of the Courts of Victoria for the resolution of any dispute under the Agreement. 1) Neither the Installer, Company or the Customer shall be held liable for any breach of these terms where the breach arises from an act of God, war, natural disaster, terrorism or any other event beyond the reasonable control of either party.